The Drexel University College of Medicine International Special Elective in Uganda provides a unique opportunity for students to complete a four week elective in Maternal and Newborn Health at Makerere University, widely-regarded as the top university in Uganda. Through Drexel's partnership with Makerere University and its work with the College of Health Sciences, this elective provides the opportunity for senior medical students to focus on the challenges of maternal and newborn health in Uganda. By participating in bedside teachings, morning rounds, practical studies and discussions with physicians, students get a strong sense of medical practices in Uganda, especially the reliance on history and clinical examination without the benefits of extensive diagnostic testings. Students will appreciate the social and economic determinants of health and the global burden of disease. Students will gain knowledge of Ugandan cultures, varied health belief models and customs and how they impact various aspects of health care at Makerere University. It is in an excellent opportunity for open-minded medical students interested in global health. Makerere University, located in Kampala, is Uganda's largest university with 36,000 students in its nine colleges and one school. Long considered a hub of excellence in teaching and research in East Africa, Makerere has many international partnerships and hosts international students from across the globe each year. Through a unique partnership, facilitated by Rotary International and Rotary chapters in Kampala, Uganda and Blue Bell, PA, Drexel University has been collaborating with the College of Health Sciences to address the significant challenges of maternal and newborn health in Uganda. The School of Medicine, part of the College of Health Sciences, annually hosts over 250 international students undertaking medical electives. The University is located just north of Central Kampala with the College of Health Sciences having its own campus. Students interested in participating in this program shoudl review and follow the procedures outlined on the Global Health Education website. The Office of Global Health Education will provide assistance and has information from the University that will assist in the completion of the application. Students should contact Dr. Nielufar Varjavand to schedule a meeting to learn more about this opportunity. Uganda, often referred to as the Pearl of Africa, is a wealth of biodiversity with incredibly warm people who make visitors feel "most welcome" in their country. This is a common phrase in Uganda, and is sincerely delivered with a broad smile to visitors.The capital city of Kampala, home to Makerere University, is the largest city in Uganda, with over 1 million inhabitants in the city and a rapidly growing and expanding suburban population. Kampala city is bustling and busy, but does have many green areas throughout the city, including areas around the University campus. Like most large cities, it has a great variety of stores, restaurants, cafes and bars, enabling visitors to find what they need without too much trouble. Kampala has lovely markets, the largest mosque in East Africa and museums to explore, as well as nearby Lake Victoria which is a popular weekend destination for visitors and Ugandans alike. Many students will use weekends to explore the wildlife and diversity of Uganda. Housing & Meals: The International Office of the College of Health Sciences maintains a list of housing options that are available for visiting international students, and it is strongly recommended that students select housing that has been approved by the International Office. The most common housing arrangement is a guest house with individual or shared bedrooms and communal bathrooms, kitchens and living spaces. Rooms are typically furnished with a bed, desk, wardrobe and bedding, including mosquito netting for the bed. Prices are set by the night and range from $15-$30/ night. A more traditional hotel option at the Makerere University Guest House is available at a higher rate of approximately $45/night. A homestay arrangement with a local family is also possible, but may be best suited for students who will be placed at the St. Stephen's Hospital, due to its distance from the main campus of the University. Students should make housing arrangements as early as possible, even three-four months before arrival, as the best options book quickly. Accepted students will receive more details on housing options. Most international students who live in guest houses will self-cater many of their meals, but eating out in Kampala is not expensive and can be a fun way to learn more about Ugandan culture. Most Ugandan meals include at least one starchy base such as corn meal (posho) rice, potatoes or cooked plaintains (matooke) with a stew of beans, chicken/meat and vegetables. Indian stews and chapattis appear frequently in Kampala restaurants and the local groundnut stew is worth a try. Tropical fruits are delicious and widely available. Students should exercise some caution when eating out as sanitation and preparations of foods can vary in local establishments. Orientation & Support The International Coordination Office provides an orientation and support to all visiting international students and can assist students as they settle into Kampala. In addition to an orientation to the university, the office provides Ugandan language and culture classes and also hosts some activities with local students. The coordinators can make recommendations to students on things to do in and out of the city and are an excellent resource of information for students on many aspects of Kampala life and Ugandan culture. 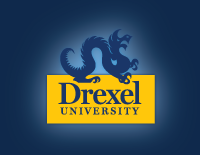 In addition to the team in the International Coordination Office, because of the partnership with Drexel, there are several Makerere faculty and staff who have visited Drexel and may be able to assist students as needed. In addition from time to time, there may be Drexel faculty or staff present at Makerere as part of the University's ongoing collaboration. Drexel faculty from Obstetrics and Gynecology as well as Pediatrics have already visited Makerere and continue to work with Ugandan colleagues through the Rotary partnership. Informal mentoring of students will also take place via a specially-designed video link classroom, located just down the hall from the International Coordination Office. Students are responsible for covering their expenses while they are participating on the program, however scholarship funds provided by special funding from the Rotary Foundation, the Department of OB-GYN and the Drexel University Office of International Programs are available for participants. There will be two $2000 scholarships awarded to two students. Depending on availability, there may be other competitive scholarships available. This program is currently open to fourth year medical students interested in maternal and newborn health. Students must meet with Dr. Nielufar Varjavand, Director of the Office of Global Health Education to discuss their interest in the program. For the initial selection process students will submit a short essay on their interest in the program, a resume and a letter of recommendation. Finalists will be contacted to participate in a short interview with DUCOM faculty involved with the program. Selected participants will need to also submit the International Special Elective application, students and the Makerere University application (available in the study abroad online application after initial selection).